What will the General Election mean for planning? The prelude to the General Election has been notable for its relative silence on the matter of planning and housing development. It is possible that this was, in part, due to the protracted and extensive discussions that happened before Parliament was dissolved, which related to the Housing White Paper and the Neighbourhood Planning Act 2017. And what reference there has been is probably what we have come to expect from politicians: pontificating on delivering the housing required by the country, while also protecting the Green Belt and engaging with local people – designed to appeal to everyone. As it stands, housing starts and completions remain way below the required level. This is partially due to skills shortages, the rising cost of raw materials and the slowing housing market, which in turn is partly due to rising prices and the growing difficulty in obtaining a mortgage. There have also been allegations that local planning authorities are making it more difficult to obtain planning permission – a claim used to justify the low housing delivery figures – resulting from an obsession with the protection of all Green Belt land and the frequent political decision making, where the voices of the vocal objectors are elevated in importance during the decision-making process. Indeed, this conflict can be seen in the constituency leaflets of the Housing and Planning Minister, Gavin Barwell. As the General Election loomed, he was accused of being a ‘Nimby’ in his own constituency, despite being the Minister in charge of hitting the government’s one million homes target by 2020. He campaigned against plans by Croydon’s Labour-controlled council for two ‘intensification zones’ and the reclassification of patches of Green Belt and Metropolitan Open Land in his constituency’s wealthy Shirley suburb. So what are the parties’ plans for planning? The Conservative Manifesto appears to have little new on planning. There is a commitment to implementing the Housing White Paper, and to delivering one-and-a-half million new homes over six years, roughly the same figures that were pledged in 2015. The Labour Party’s Manifesto is also low-key when it comes to planning. Yet almost at the 11th hour, on 5 June, it published a mini-housing manifesto that promoted its plans for new towns and garden cities, work on which would begin within the next Parliament and be delivered by New Homes Corporations, following reformed new towns legislation. This is not entirely new, and some might argue it is the regurgitated policy of past governments. However, there are also pledges to increase local authority powers to assist with and speed up the delivery of development, and enter into a new era of council house building, the introduction of ‘use or lose it’ rules to encourage developers, and the building of genuinely affordable homes to rent and buy. This latter policy pledge may have come off the back of an apparent U-turn from Gavin Barwell, when he said that rather than following through on the Conservative manifesto promise to ‘build a new generation of social housing’, the homes would in fact be more expensive ‘affordable rent’ properties (see this interview with trade magazine Inside Housing) This is interesting given that our last blog noted the growth in the number of build-to-rent homes, where private developers retain and manage the properties that are let at discounted market rent. So why is it that the politicians have steered clear of the subject? In the experience of Apex Planning Consultants, MPs tend to keep their involvement in planning at arm’s length. They are frequently reactionary, passing on the objections of their constituents, although even this is often reserved for times when it relates to a major development and there are numerous objectors who have already made their opinions known to the local planning authority. In fact, planning is a double-edged sword, for they have to balance the needs of the constituents (delivery of affordable housing, employment and infrastructure) with their concerns and desires (to protect their own areas from that same development)! The problem of meeting the competing needs of both planning and people is a cross-party problem. Lib Dem candidates Mike Thornton (Eastleigh) and Alan Bullion (Sevenoaks) have both campaigned against housing plans, while Labour’s shadow planning minister, Roberta Blackman Woods, backed a campaign to save a pub from conversion into flats. This is despite the cross-party agreement that we desperately need more housing in this country. All this is despite the fact that the latest data suggests that overall the public are becoming more accepting of house building. The British Social Attitudes survey found that people’s support for new homes in their ‘local area’ doubled from 29% to 57% between 2010 and 2016. However, it is likely that where the proposals relate to individual areas the ‘general public’s’ support ends. Over the years, in the lead-up to elections we at Apex Planning Consultants have seen planning applications deferred by planning committees and local authorities pulling progress on local plans; indeed, we saw some local planning authorities suspend progress on their local plans while they considered the impact of the Housing White Paper. 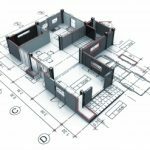 It is concerns like these that reinforce the importance for individuals, developers and investors to seek planning advice prior to and during planning applications, and with the extensive experience and expertise at Apex Planning Consultants, we are always happy to discuss matters with you. If you would like to discuss your own project or just find out more about what we do, please browse the website at www.apexplanning.co.uk or drop us a line at info@apexplanning.co.uk without obligation.